As PADI Professionals, especially when based in resort environments with a diverse client base, we face a wide variety of challenges to learning whilst teaching students. These can vary and include differences in educational backgrounds, culture and language. However the greatest thrill as a PADI Professional is seeing the look on your students face when they overcome obstacles and begin enjoying and sharing our passion for the underwater world. Many of us are familiar with helping students who need help mastering the RDP or clearing their mask and are happy in spending the time with students who may be facing these and many other obstacles. However sometimes we need to remember that maybe we need to wind things back even further and help our students gain confidence, in just, purely being in water. For many of us confidence in water becomes a motor skill, like walking, running and talking, from an early age. I remember my grandmother, who couldn’t swim, taking me to the local pool once a week as a small boy to ensure I gained the confidence she never had. Others are not so lucky. With the diverse cultural backgrounds we face in our ever expanding industry we need to remember that we will meet students who wish to enjoy scuba diving as much as the next person but they just need us, as professionals, to help them gain their water confidence. They may have grown up in a land-locked environment, have an embedded cultural fear of water or simply not had those opportunities to build up confidence in the water. So is it right to assume that our students are comfortable donning mask, fins and snorkel and then spending most of our time talking about BCD’s and regulators when all of the time the student is wondering what the funny things on their feet and face are? In conversation recently with an instructor he was explaining to me how he found that PADI Discover Scuba Diving participants got a lot more from the program by him helping them don and adjust mask fins and snorkel correctly and helping them initially gain confidence with these before progressing to scuba. Similarly another example is an instructor being aware that he would have to spend more time building water confidence with his PADI Discover Scuba Diving participants and having completed this how much they enjoyed their subsequent open water dives and were hungry to learn more. Simply by remembering that learning to dive is helping build confident and competent divers and taking the time to help them build basic water skills is equally as important as every other part of training. Bear in mind that sharing our passion helps create the divers of the future so that customer will come back to you, recommend you to a friend and share ever-lasting memories. Next time you turn up for work and your boss tells you that your students are from “XYZ” country, don’t roll back your eyes and imagine endless problems because of perceived backgrounds. As a PADI Professional, an educator, take on the challenge you may be surprised! 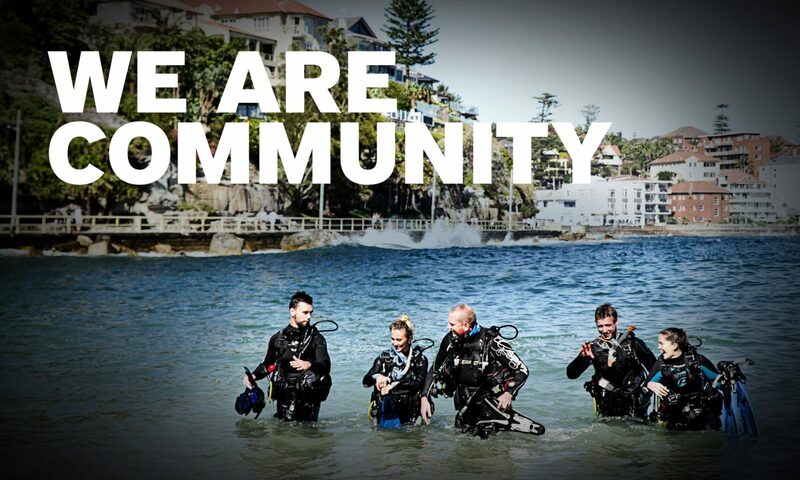 If you have any questions please contact your PADI Regional Training Consultant at training-sales@padi.com.au.